Freeeats.com Review: Can You Get Paid To Receive Text Ads? A while back I was asked to do a review on a new popular way of making money online from your phone with a program known as Freeeats.com After checking the program out for myself online and through my phone, I was actually surprised with the results. So, here we go. Here is my honest Freeeats.com review. Let’s get started! The basic of this program is that it allows you the chance to earn money online by using your cell phone. Of course after working online for so long I was a bit skeptical about this. However, I was surprised about what this program is about. Basically you will receive text messages from freeeats.com and you will be paid just to receive these texts. Of course these texts will vary but expect to receive a lot of texts that promote many paid surveys and such. All that you have to do is join, supply your phone number, paypal address to get paid and just wait for the texts to come rolling in. While that may sound crappy, it actually isn’t. If you are the type of person who is afraid of getting spammed with texts, you can easily opt-out of receiving texts from the program easily. However, if you are looking for a quick way to make some cash this is certainly the way to get it. 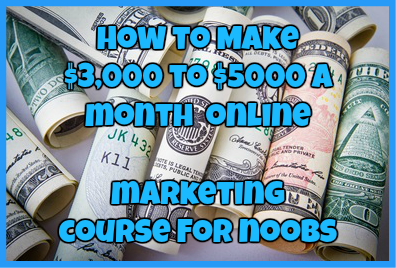 This program is specifically designed for anybody who is looking to make a few dollars online. Whether you are looking for a way to pay for some gas for your car or some cash for a bill, this is the perfect program for you. This is a program that is great for anybody regardless of their marketing experience. In regards to training that is provided with the freeeats.com don’t expect to receive much of anything. As the only thing that you need to worry about is viewing ads sent to your phone, there is really not much explanation or training that is needed for it. However, since the real money is in the referral program you will need to have some experience marketing to others correctly. Unfortunately this website does not offer that kind of training so you will have to rely heavily on your sponsor to teach you how to promote the opportunity to others. In regards to support don’t expect much of it either. When it comes to support freeeats.com only offers a general FAQ page and a basic email ticket system. Since this program is pretty straightforward, I was not surprised to find just the basic support system. However, I do wish they had more such as a chat or at least a forum. This program is free to join so you don’t have to worry about forking over any cash. How Much Does Freeeats.com Actually Pay? This is when everything begins to get interesting. When you register for this program today, you will get paid $1.00 just for the registration. After that you will receive .25 for every text you get and $1.00 for every referral you have. However, keep in mind that that even with referrals, you are only allowed to refer up to 50 people at a time. What does that mean? It means that you can make at least $50 a day with one account. You can make more than one account using different phones to increase your earnings and make as much as you want. The best thing about this program is that it actually does pay so expect to receive money for the work you have actually done! While this certainly seems like a great opportunity, it is by far the best one I have come across. To be honest there is not much money you can make with Freeeats.com and you are limited by how many referrals you can bring into the program, forcing you to only make a certain amount each day. 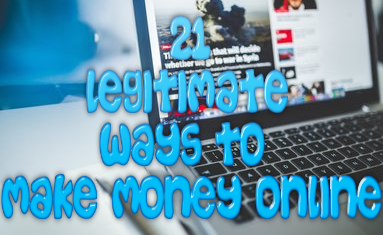 In my opinion this program is much more trouble than it is actually worth and there are better ways to make money online today. You just have to find the right opportunity for you. Have you had success with Freeeats.com? Want to add to this review? If so, I would love to hear from you. Just drop me a detailed comment below. My Unbiased Freebie Money Printer Review: Legit or Scam? GetPaid4Duty.com Review: Is This Another Online Scam? I definitely have to try this. It is definitely a great way to earn some extra cash here and there but not for long term success.